Above image borrowed from HealthHomie. These days it’s actually a good idea to go nuts, by incorporating nuts into your diet that is. While there are many different type of nuts that are beneficial such as walnuts, cashews, pistachios, hazelnuts, and so on, in this post I will talk about one of the most versatile nuts: almonds. The almond is native to the Mediterranean climate region of the Middle East, eastward as far as the Indus River in Pakistan. Wild almonds are bitter, the kernel produces deadly cyanide and eating even a few dozen in one sitting can be fatal. Domestic almonds were cultivated from a sweet variety but how the sweet type of almond was discovered amongst many deadly varieies remains a mystery. Good for your brain — Almonds have been connected to a higher intellectual level and they have long been considered an essential food item for growing children. Studies have shown that almonds in the diet, as well as almond oil, is nutritive to the overall health and functioning of the nervous system. Regulation of cholesterol — Regular consumption of almonds helps to increase the level of good cholesterol and lower the bad cholesterol. Bone Health — Almonds contain many vitamins and minerals, including phosphorous which can have a considerable impact on the strength and durability of bones and teeth. Good for your heart — Almonds contain the vitamins and minerals to improve vascular function and prevent heart attacks. Immune System Strength — Almonds are great sources for alkali materials, and this is known to benefit the strength of the immune system, as well as increase the ability to stave off diseases and various health conditions. 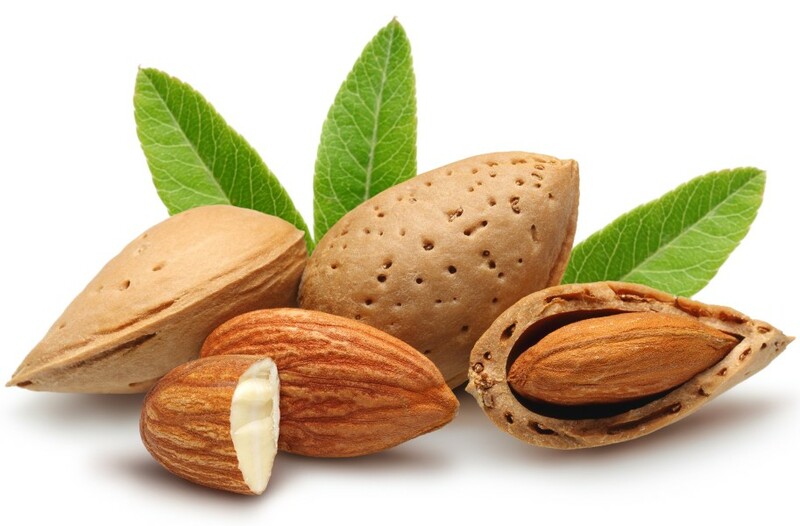 Skin care — Almond oil massages or almond milk in soaps, improve the complexion of skin. But all of these ways to eat almonds are most likely very familiar to you. I would like to share two recipes for almonds that might be new to you. Indian food, which I have come to cook quite often being married to an Indian man, has the unique quality in that for sauces, it does not use flour to thicken it. 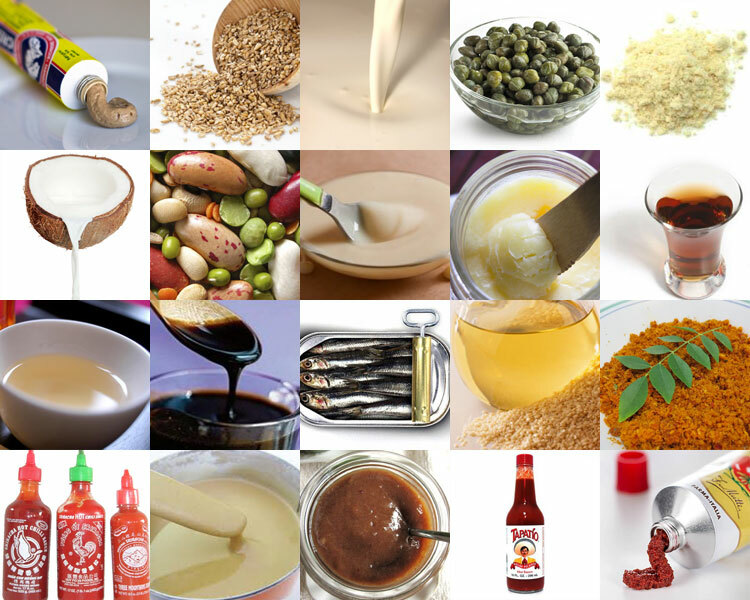 Instead, sauces are thickened with ingredients that add flavor such as: lentils, coconut, onions, or nuts. 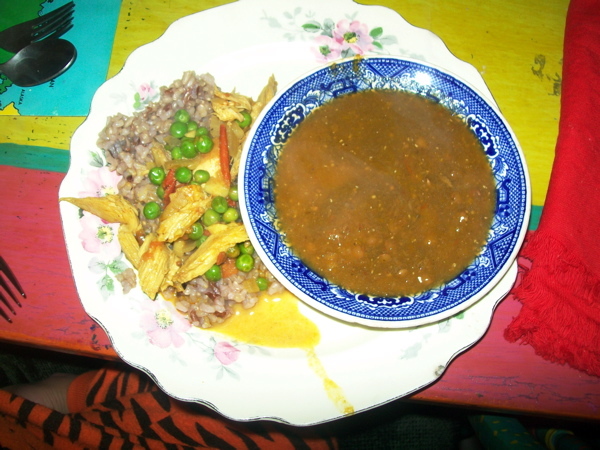 One of the most popular Indian dishes for Westerners is Chicken Korma. 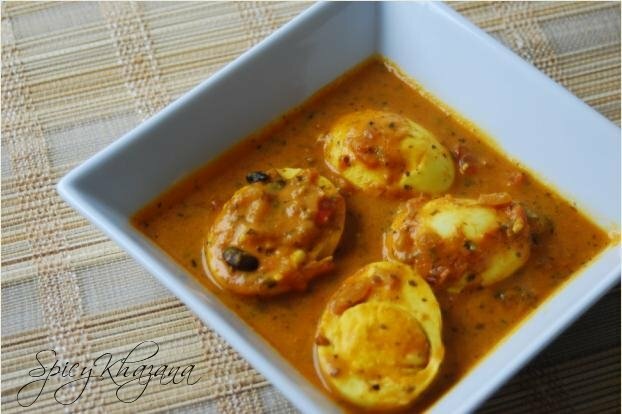 As with most Indian dishes, there are multiple versions of this recipe but the one I am familiar with uses almonds to thicken the sauce, creating a rich cream taste without any cream. 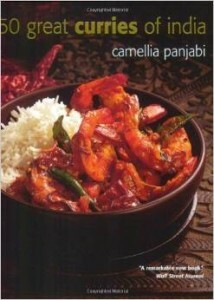 Recipe adapted fr0m 50 Great Curries of India which was my first book on Indian cooking. Creamy and delicious. To blanch the almonds, place raw almonds in boiling water for a few minute and then remove them and place them in ice water for several minutes. The skin will remove eaily. Open cardamom pods and grinds seeds separately. Saute the almonds in a small amount of ghee with the bay leaf for several minutes, add onions and saute for another several minutes until onions are glassy. Add chopped chilies, ground poppy seeds and cardamon. Add 1 c water and cook for 10 minutes. Removed from heat, discard bay leaf and puree in a blender to a smooth paste. Add a little ghee to the man and saute the garlic, ginger, whole chile over low heat. Add chicken pieces and cook slowly, allowing the juices from the chicken to release. Stir in the yogurt, mixing continuously and then add the rest of the spices plus the almond puree. Cook until the chicken is tender. These days everyone is worried about gluten. In baking, almonds that are blanched, toasted and ground into a fine meal can be a great substitute for flour. Even if avoiding gluten isn’t a concern, almonds add an amazing flavor. Here is one of my favorite recipes. Step 1 – Preheat oven to 180 degrees celcius. Butter and line a 23cm springform tin with buttered baking paper, and dust lightly with flour. Step 2 – Place the almond meal, coconut, salt and sugar in a bowl and whisk together for 1 minute, getting rid of any lumps. In a separate bowl whisk together the eggs and vanilla, add the butter and whisk until all mixed together. Tip the butter mixture into the almond mixture and stir them together until combined. Note that it is a very loose batter. Pour the mixture into the prepared tin and scatter over the flaked almonds (the original recipe only had 2tbsp of almonds but I probably added about 4-5 tbsp). Step 3 – Bake for 40mins or until the cake springs back when gently pressed in the center. Cool completely in the tin. Serve with a generous spoonful of double cream. 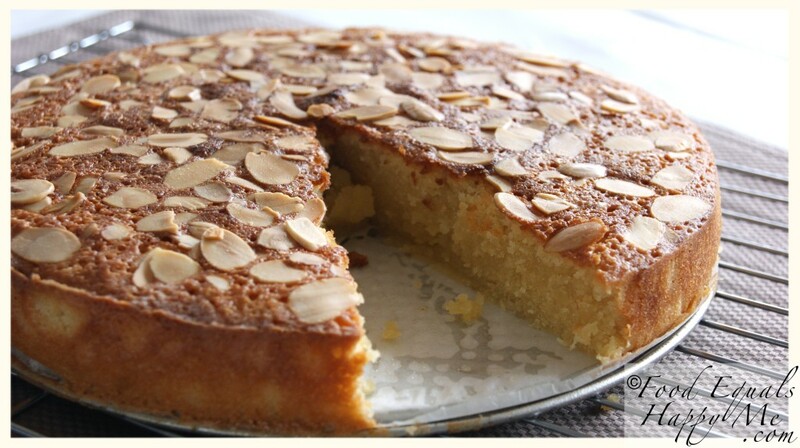 There are so many wonderful recipes for almond cake out there. If you want one that does not contain coconut, I recommend this one from the New York Times. Hopefully now you have some new ways to enjoy the health benefits of this versatile nut. Enjoy!